With the vision of catering the healthcare needs of people, Captain Biotech was incepted in 2012 as a manufacturer and supplier of Syrups and Juices. Our range of Nutritional Health Drink, Ayurvedic Products, Piles End and Multivitamin Capsules are highly acknowledged for high efficiency at affordable prices. For manufacturing these products, raw material is sourced from authorized vendors who follow international manufacturing standards and quality benchmark. Since establishment, superlative products stemming from Captain Biotech has earned several rave reviews from customers because of their commitment to quality and exceptional services. Furthermore, our skilled business ethics and wide distribution network have gathered vast clientele base to serve. Moreover, to serve the industry with maximal potential, we are providing best in class Third party Manufacturing Services. 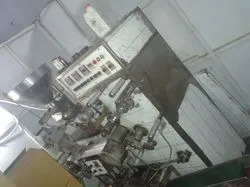 The company has developed well equipped manufacturing infrastructure as well as a large team of proficient professionals to successfully satisfy the bulk requirement of our products. We have well knitted team that is committed to leveraging medical science and pooling our great resources to enhance health and well-being at every stage of life. We endeavour to offer access to efficacious, safe and affordable products to clients following stringent norms and standards for quality purpose. Our well-versed mentor Mr. Hariom Lal Srivastava, guides us in a proficient manner and helps us to achieve the company goals. Under his able guidance we have been providing our clients the best of products. With his motivation, managerial skills and extreme knowledge, we have carved an eminent niche for ourselves. Manufacturing and Trading of Pharmaceutical Products. We have appointed a team of highly experienced professionals which helped us to manufacturing, supplying and trading the offered range of products in a best possible manner. Our every professional is master of his respective domain. We have allotted them various tasks as per their area of expertise and offer high flexibility so that they can perform in a highly productive method. Our team is capable to fulfill the ever changing demands of our valued customers and helps us to face the growing challenges of the industry. We have established modernized infrastructural facility, which is based on latest technologies. Our infrastructure occupies a wide area of space and has sectioned into various units. For having eased and smoother production processes we have coordinated the units in a sound manner. Further, the units have all the modern machinery, equipments, tools and instruments. We time-to-time upgrade our technology to keep pace with growing market demands. By virtue of this modern infrastructure, we have been successfully catering the huge requirements of our clients in a prompt manner. It is our team's hard work that led us to attain a reputed position in the medical field. Our team is our biggest strength. We are backed by experienced medical professionals, production experts, sales & marketing personnel and several other people. They all work together tirelessly for the production of quality syrups and juices. Our team knows the requirements of this field and enables us to deliver quality products in market. Thanks to our team's dedication, we are able to attain a leading edge over others.